In June 2012, Hapag-Lloyd Cruises will be offering their first itinerary through the Sea of Okhotsk in Russia's Far East, on the only 5-star expedition vessel in the world, the MS HANSEATIC. The HANSEATIC's itinerary will be fully bilingual, departing Otaru, Japan on June 13, 2012 and concluding in Petropavlovsk, Kamchatka on June 30th. The 17-day expedition voyage will lead through the Sea of Okhotsk and her many islands as well as to Kamchatka and the Kuril Islands. This route, rarely travelled by cruise ships, is one of the last great unexplored sea expeditions in the world. The wildlife in the Sea of Okhotsk and her many remote islands is some of the richest in the world and the scenery of snow-capped volcanoes, dense forest, tundra and meadow is spectacular. The on-board Zodiacs, small inflatable boats, will take guests ashore to observe wildlife such as Stellar Sea Lions, songbirds, birds of prey, seals and sea otters, up close. The mostly uninhabited Kamchatka Peninsula, Russia's easternmost province, is a dramatic landscape of fire and ice, and the distant and isolated Kuril Islands have mesmerized explorers and traders for centuries. Guests will find a unique mixture of endemic birds. Geysers, hot springs and active volcanoes set amidst towering mountains and fast flowing rivers also make this area magnificently unique. Excursion options of this itinerary include a helicopter flight to the Valley of the Geysers, considered one of the greatest miracles of nature that can only be visited by helicopter; a zodiac ride to Cape Utholoskiy, to hopefully view the brown bear; and a walk around Atlasova, an uninhibited island in the Kuril Islands, with the largest active volcano in the area. This itinerary starts at EUR 9.027 / GBP 6.448 / USD 10.832 per person, based on double occupancy for an outside cabin. 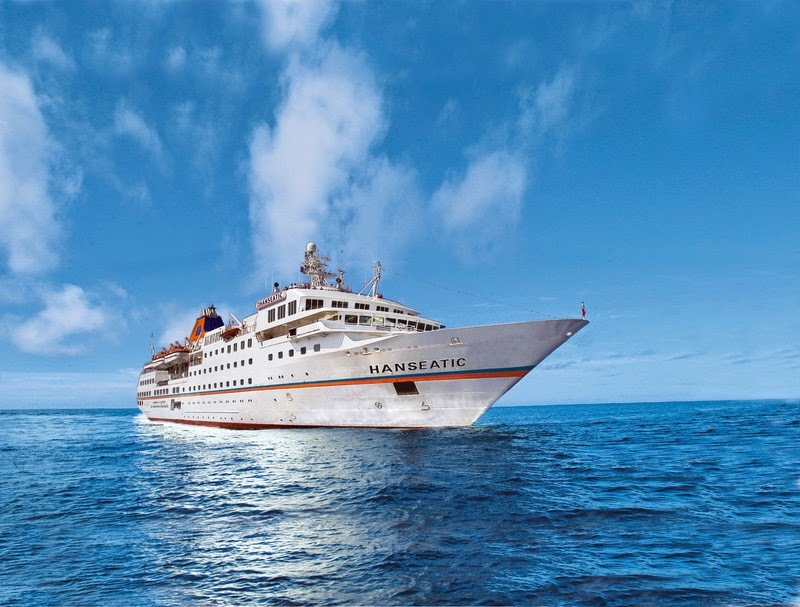 MS HANSEATIC, Hapag-Lloyd Cruises' small and beautifully appointed expedition ship, and the world's only 5-star expedition ship was created to provide intensive exploration in the most elegant surroundings for a maximum of 184 passengers. The HANSEATIC is known worldwide for its unsurpassed abilities to navigate and explore difficult waters of the Arctic and Antarctic due to its highest ice class for passenger vessels (E4). The HANSEATIC cruises the world year round, landing in unusual and remote destinations. A shallow draft and high manoeuvrability allow the ship to enter waters larger cruise vessels cannot reach. New service options now available on the HANSEATIC include: worldwide mobile phone reception, Wi-Fi in all cabins, an extended selection of international newspapers in full editions, as well as headsets for passengers during the excursions for better clarity for the experts to be heard. For more information on Hapag-Lloyd Cruises' exciting destinations and itineraries visit www.hl-cruises.com. For bookings or brochure requests, please look for your nearest sales agent in your country here. All press releases and a picture gallery can be found on www.hl-cruises.com/press. The Ultimate Australian Rail & Sail Adventure!